This is a sponsored conversation on behalf of Tide; all opinions and text are my own. Thank you for supporting the brands that support this site! And the Tide coupons just keep on coming… But who’s complaining? Not me — that’s for sure!!! Laundry for 7 ain’t cheap, especially when you’re brand loyal. 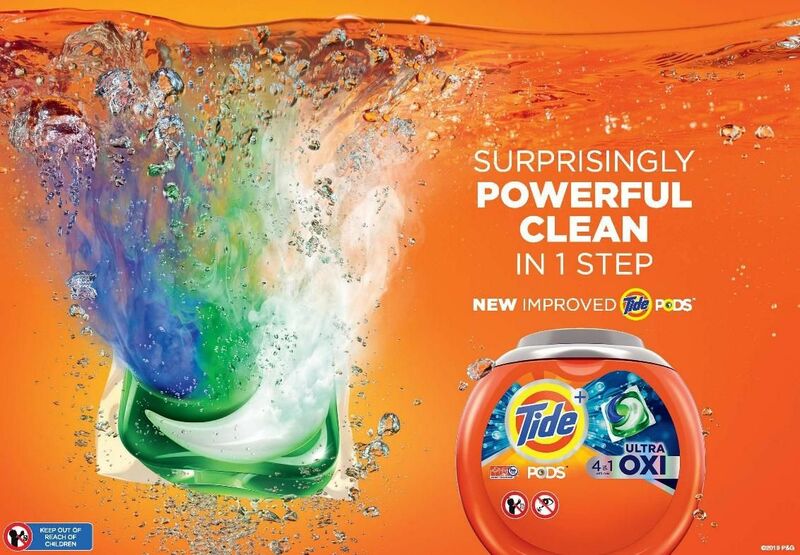 I’ve given other detergents a fair shot, but in the end, I always come back to Tide! So I couldn’t be happier that there are two more high value Tide printable coupons available to print this week, one for Tide PODS and one for Tide detergent. Both coupons can only be printed through 2/9/19, so don’t wait — PRINT THEM NOW. Also, there’s an added bonus this week… There’s a ergional paper coupon for Tide PODS in the Sunday Smartsource insert that you can clip!!! Now check out the deals below to find out where to best redeem them near you! 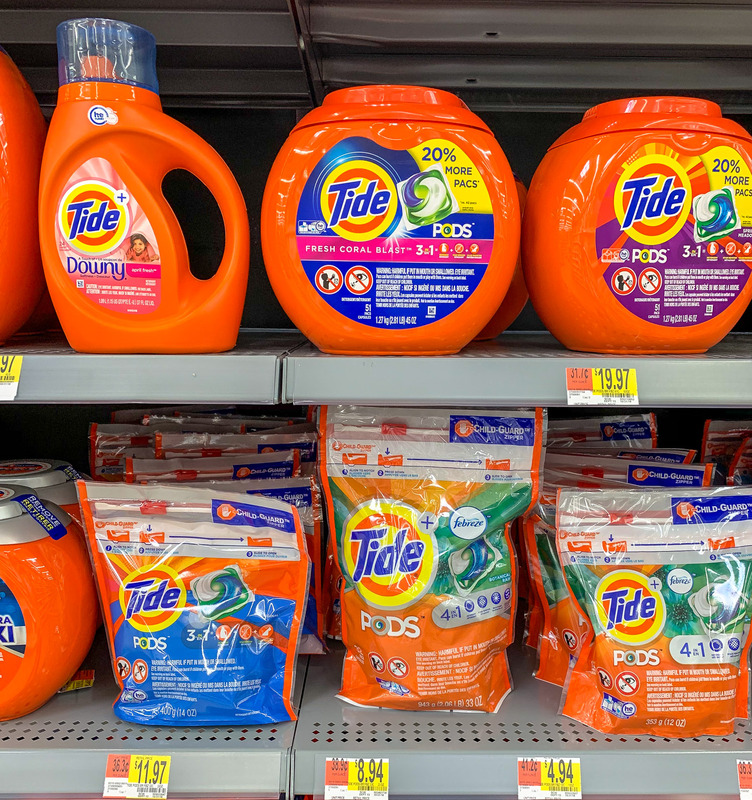 If you’re purely looking for the rock bottom price on Tide and don’t care about picking up a specific formulation, Walmart is the way to go with these two Tide deals. $1.94 (as low as $0.13 per load) after coupon! $2.24 (as low as $0.09 per load) after coupon! You really can’t beat Walmart’s pricing. I mean, $0.09 per load for Tide Detergent or $0.13 per load for Tide PODS is pretty much a TOTAL STEAL!!! 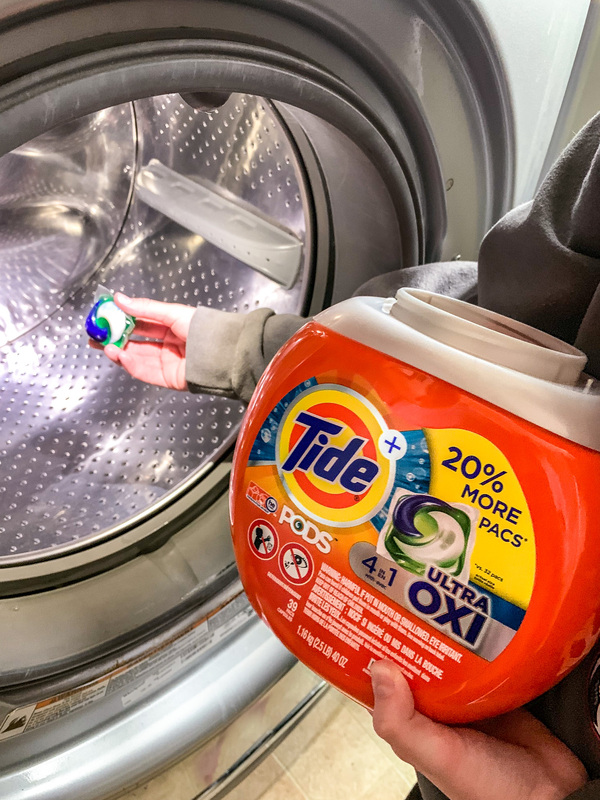 And if you like Tide’s more premium products, like the Ultra OXI formulation that’s my FAVE, Walmart is also your best bet because they currently carry 20% more bonus packaging for both the Tide PODS Ultra OXI and Tide Detergent Ultra OXI. $8.97 ($0.23 per load) after coupon! $8.97 (as low as $0.13 per load) after coupon! But if you don’t have a Walmart near you or you want a great price on the larger packages, you’re going to want to hit up Target this week. They’re running a $5 Target Gift Card promo when you buy two Tide products, so you can grab a package of Tide PODS + a bottle of Tide Detergent and save big! $6.49 ea. after coupons and Target GC! The only downside is that you can print just one of each of these coupons. Of course, if you have friends and/or family that aren’t planning to use these awesome Tide coupons, you could ask them to print theirs for you! 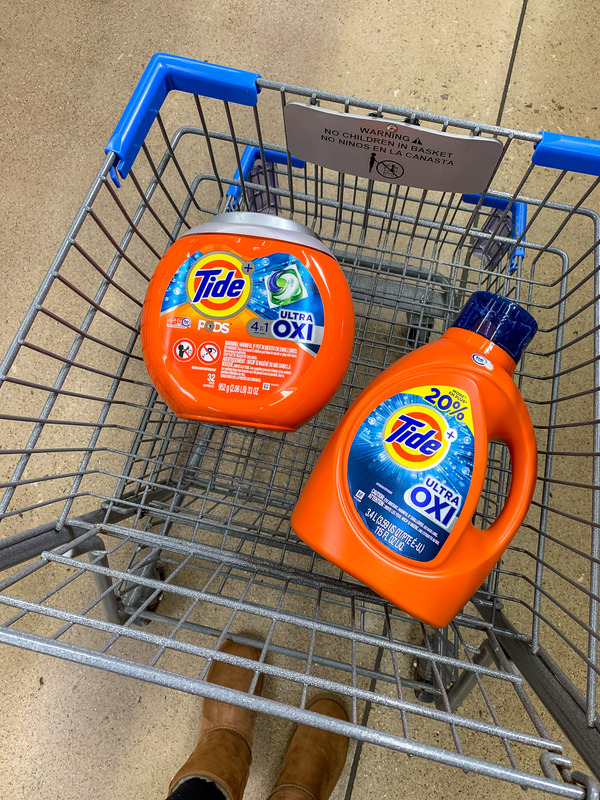 Which gets me curious — do you prefer the Tide PODS or the Tide Detergent? Leave me a comment below! Previous Post: « Sun-Maid Raisins $1.66 at Walmart! 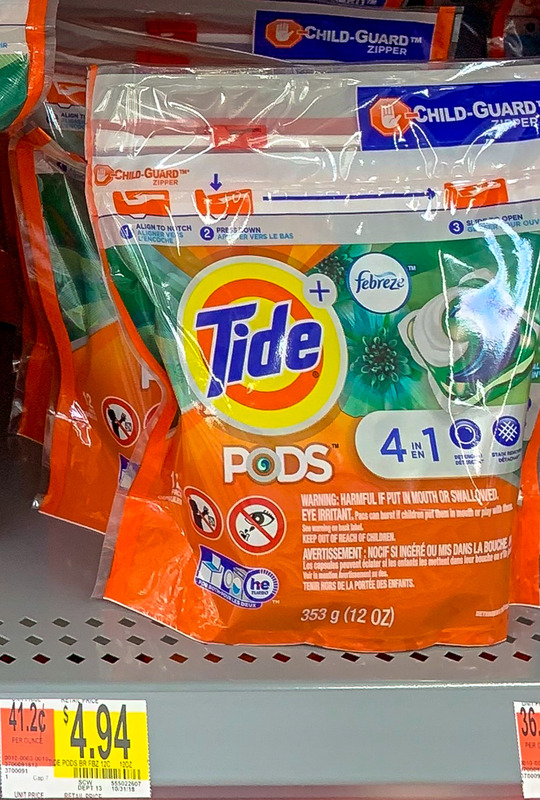 Don’t forget that Target has two 10% off tide pods and a 5% off all tide detergent on the Target Cartwheel app! Oh, thank you! Those must not have been available when I was checking for deals last week. Also shopkick will give a25 kicks for the small pods bag .